Turning 65 typically brings some milestones—blowing out the candles on a well-deserved retirement cake, and the possibility of receiving a little red, white, and blue card in your mailbox, enrolling you for Medicare coverage. But just because you’re eligible to enroll in Medicare, doesn’t mean you’ve mastered the ins and outs of your health insurance options, which are actually quite broad—and can be good for your bottom line, if you choose the plan that best suits your needs. First, let’s review the basic Medicare facts. Enrollment: You’re eligible to enroll in Medicare during a seven-month window: three months before the month you turn 65, your birthday month, and the three months after your 65th birthday. To find out more about enrollment guidelines, go to the government’s website at Medicare.gov or the Social Security Administration at SSA.gov. • Part A, the premium-free, “hospital insurance” which covers inpatient care and services at hospitals, skilled nursing facilities, and some home health care and hospice care. • Part B, “medical insurance” that covers doctor visits and medically-necessary outpatient services—to diagnose and treat your ailments—and preventive health services, for which most people pay $134 each month. Parts A & B are offered by the government and the combo of the two parts is known as “Original Medicare”. • Part C, Medicare Advantage plans which consolidate—and offer—the same baseline benefits as Original Medicare coverage and often include prescription drug coverage and other services. When you sign up for Medicare you essentially have a choice of two paths. You can sign up for Medicare Part A & Part B, plus a Prescription Drug Plan (Part D), or you can sign up for Medicare Part C, which consolidated parts A & B and often includes Part D.
There’s also Medicare Supplement Insurance (also known as Medigap Insurance), which is offered by private insurance companies and covers medical expenses not covered when you have Medicare Parts A & B. As we mentioned before, Medicare Advantage (Part C) is part of the federal Medicare health plan program and includes all your Part A and Part B benefits (the same benefits you would get with Original Medicare), but it’s offered by government-approved, private companies. So what’s the difference between Original Medicare and Medicare Advantage? Essentially, Medicare Advantage is known to provide more extensive coverage than Original Medicare, which might make it easier to get the kind of care you need, effectively reducing the amount of “gaps” in coverage that result in out-of-pocket costs. HMO: Just like with traditional HMO plans, Medicare Advantage HMOs require you to see only the doctors, health care providers, and hospitals on their list, and you’ll usually need a referral from your primary care doctor to see a specialist. If you get an HMO with a point-of-service option (POS), you may be able to go out of network for a higher cost. Most HMO plans cover prescription drugs, but you have to make sure. • If you go out of network, you may have to pay the full cost. • Always follow the plan’s rules and get approval for out-of-the-ordinary services to avoid billing hassles. PPO: The Medicare version of a PPO should also sound familiar: PPO plans cover visits to any doctor, health care provider, or hospital you choose, though in-network doctors, etc. generally cost less than those that are out-of-network. You don’t need to choose a primary care doctor and you don’t need a referral to see a specialist, in most cases. 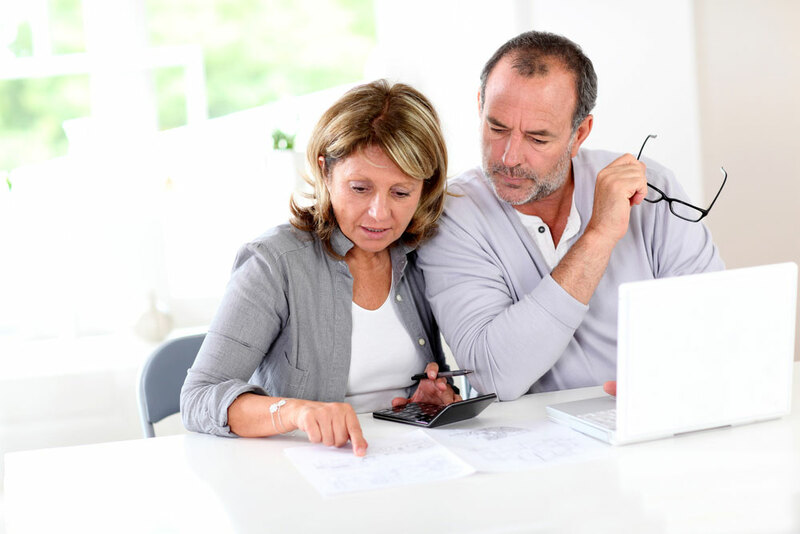 • PPO plans usually offer more benefits than Original Medicare, but extra benefits generally come with extra costs, so keep an eye out for your bottom line. FFS: This plan is the choose-your-own-adventure of the Part C options: Medicare pays the FFS insurance company a set amount of money to cover your health care expenses every month, and the insurance company decides how much you pay for premiums, deductibles, and covered services. This fee arrangement can change annually each January 1. With Fee-for-Service plans, you are allowed to visit any doctor, specialist, or hospital that accepts Medicare, but you first have to make sure they will accept the terms and payment conditions of your specific FFS plan. Emergency treatment is always covered whether or not the provider accepts your plan’s terms. • If the FFS plan you choose offers prescription drug coverage, you must use that coverage. If the plan doesn’t offer prescription drug coverage, you can sign up for Part D separately. • Some FFS plans have a network of providers who agree to always treat plan members, no matter what. And that’s important because out-of-network doctors, health care providers, and hospitals are under no obligation to accept your FFS insurance on a per-treatment basis. SNP: Special needs Medicare plans are designed for people with a set list of pre-existing conditions, so that all their benefits, provider choices, and prescription drug needs are met. Generally, SNPs require you to get care and services from their network, except for emergency or urgent care, which you can get anywhere. All SNPs include prescription drug coverage, as a rule. Prescription drug coverage: Most Part C plans include some type of prescription drug coverage (which is sold separately as Part D when you have Original Medicare), but always remember to shop around, read the fine print, and make sure. You cannot sign up for a Part D prescription drug plan if you already have certain types of Part C Medicare Advantage plans. Pay a premium to your Medicare Advantage insurance company that includes a portion of the Part B premium. Note: Some Medicare advantage companies pay part of your Part B premiums. You may end up paying higher premiums for Medicare Advantage than for basic Part A and Part B, and you also may have lower (or higher) copayments for things like doctor visits. Generally, HMO plans provide the most affordable option, although you are typically limited to providers in the plan’s network. That said, over 90 percent of Medicare beneficiaries have access to a $0 premium Medicare Advantage plan, according to the Centers for Medicare & Medicaid Services. Your out-of-pocket costs vary by company, such as where they set the deductible and copayment fees, and whether you use in-network doctors or need extra benefits to manage particular conditions. One benefit is that all Part C plans have a yearly limit on your out-of-pocket costs ($6,700 or lower, says Healthcare.gov)—after which you pay zero for all covered services, like deductibles, copayments, and coinsurance fees. But the main advantage of going with a Part C plan, over Original Medicare, is simple: options. You can choose a plan that’s more tailored to your specific health needs, plus you can shop around with different private insurance companies to find a payment package that works for you. If you haven’t turned 65 yet and you know you want to sign up for Medicare Advantage, the enrollment rules are the same as for Medicare Parts A & B insurance. Mark your calendar for your Initial Enrollment Period (IEP)—the three months before your 65th birthday month, during the month of your birthday, and for the three months after your birthday month—and sign up through Medicare.gov or SSA.gov. Note: If you are past your IEP (the seven months around your 65th birthday), you must enroll in Part A and Part B coverage, before you can sign up for a Medicare Advantage plan. For all the enrollment period particulars, visit Medicare.gov.